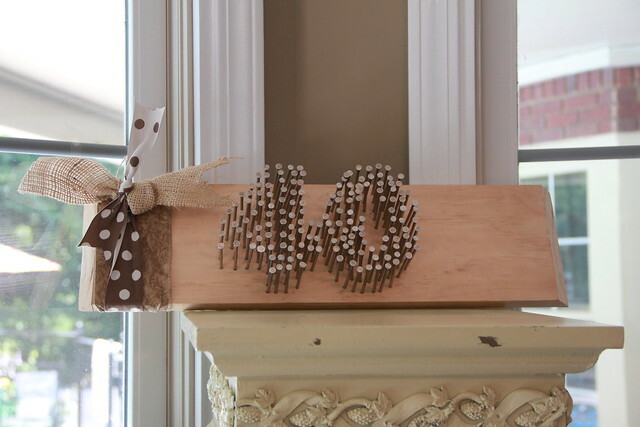 Yesterday I told y’all about one of my parent’s 40th anniversary gifts— a wooden plaque that said “40” with nails. Wanted to show you guys how how I made the plaque in case anyone wants to copy this for someone else, so here goes! Start with a raw piece of wood. This is a scrap piece my husband dug up from our basement. 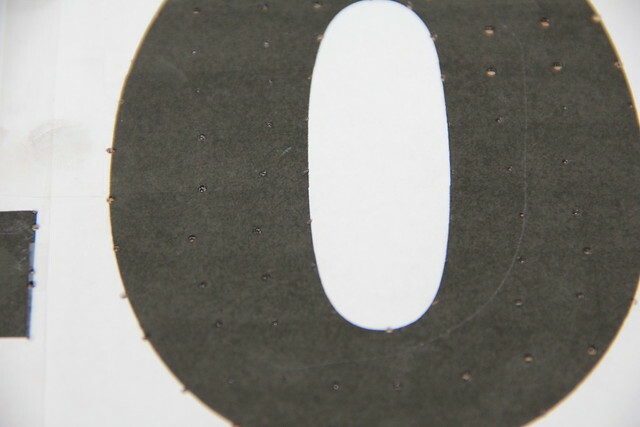 I printed out the number 40 in Franklin Gothic Bold in a 500 font size. 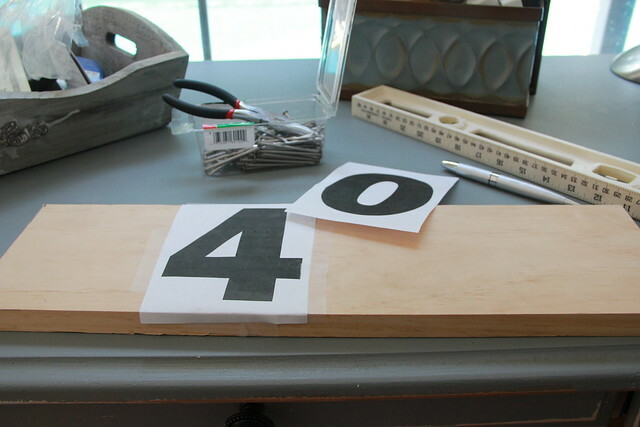 Cut out each number, center them up and tape them onto the wood. 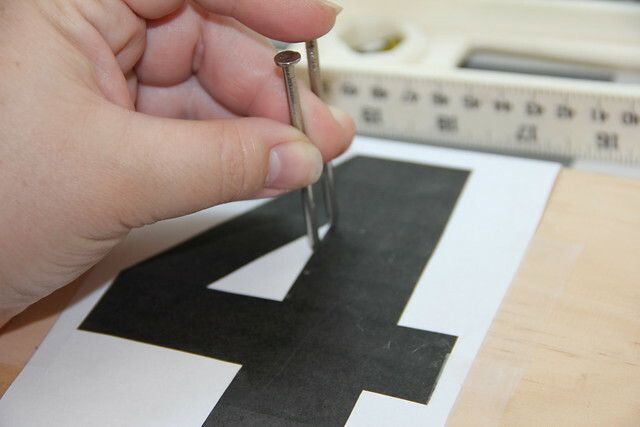 Take a nail and press it into the wood to make an indention. 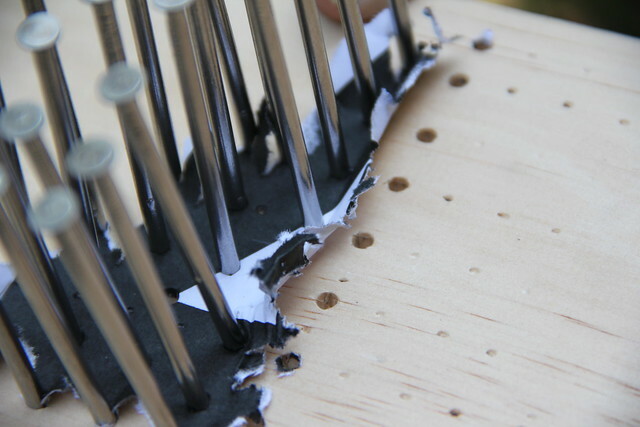 Then take another nail and press it in a fingertip width apart. 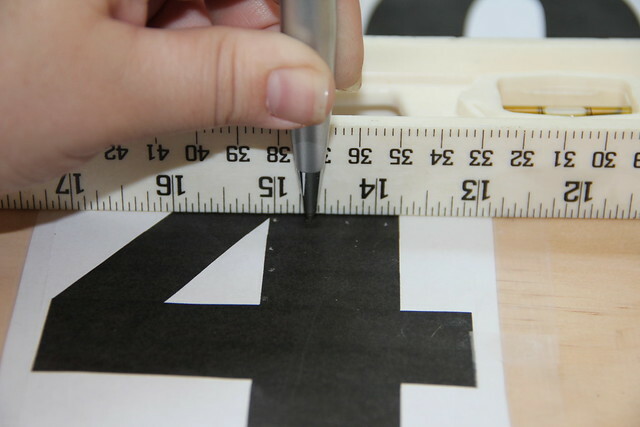 Just continue to punch holes in semi-straight lines across and down the numbers. I’m gonna be straight up with y’all and tell you I ditched the ruler and eyeballed the “O”. That’s why some of my nails got a little wonky. 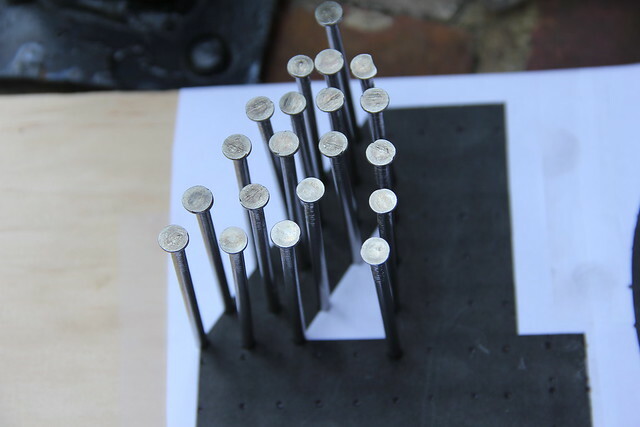 I also got ahead of myself on this step and hammered the nails through the sheet of paper. That was a bad move, so I’m going to share my mistake with you so you don’t do the same thing. Don’t do this or you’ll have to start all over. Booger. 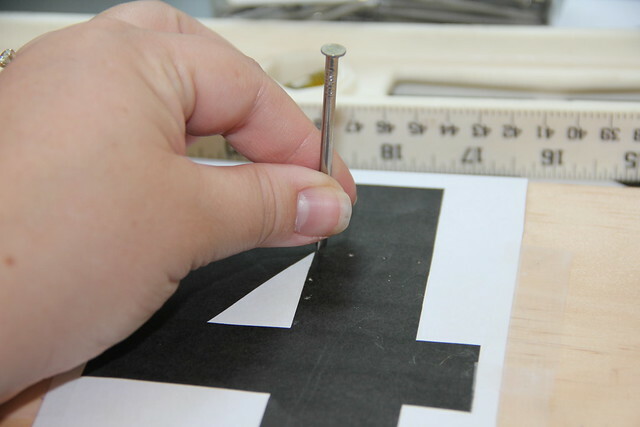 You need to removed the paper first, THEN hammer them in. So… I had a do-over. 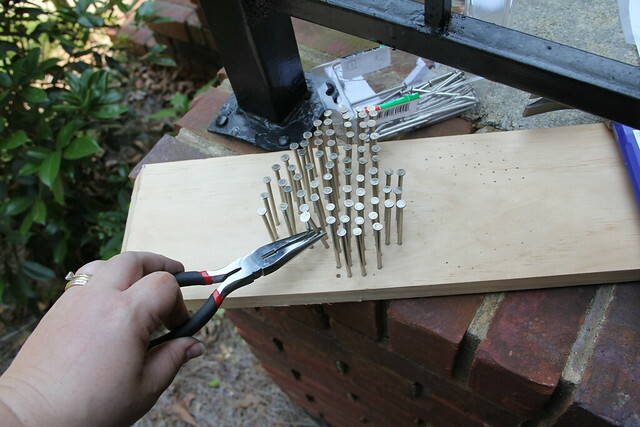 Removed all the nails and started over with my hammering. Ugh, what a hassle. 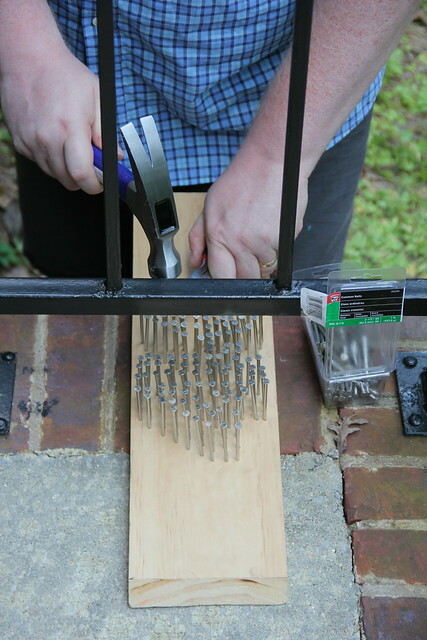 If you find yourself in a tight spot you can use pliers to hold the nail and tap them in. Like Happy Gilmore says, just tap, tap, tap it in. All that tapping made my carpal tunnel start screaming at me! 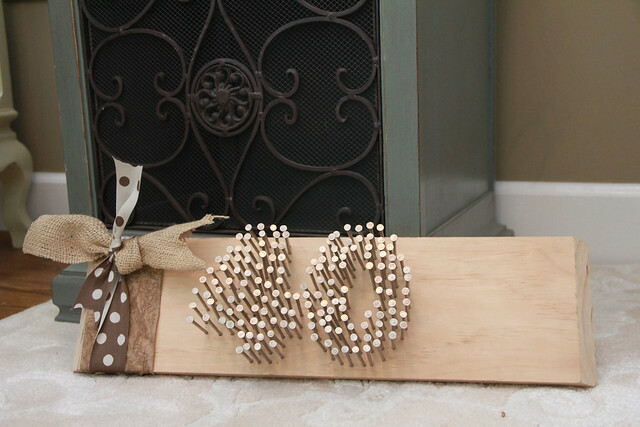 So thankfully my wonderful husband took over the job to finish up the last half of the “0”. Thanks babe! 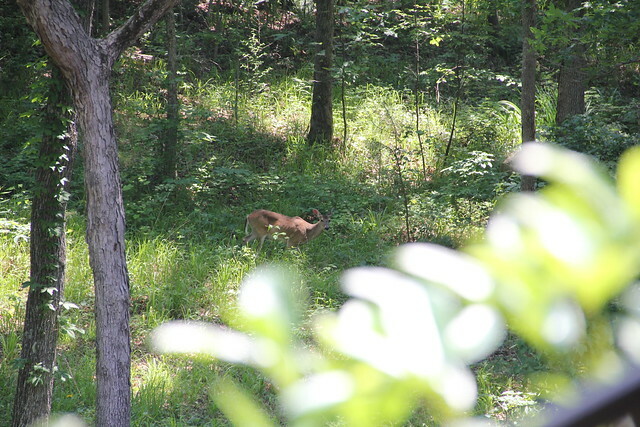 I took that opportunity to stalkerazzi a deer that was walking through the woods beside our house. I love living in the woods. Isn’t she cute? 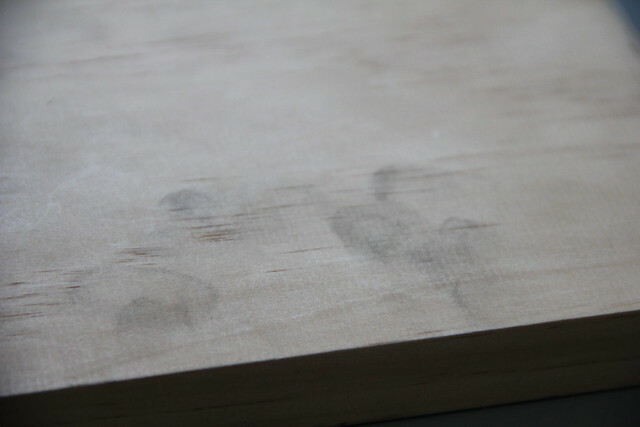 Once all the nails were hammered in there I noticed the printer ink had smudged on the raw wood. 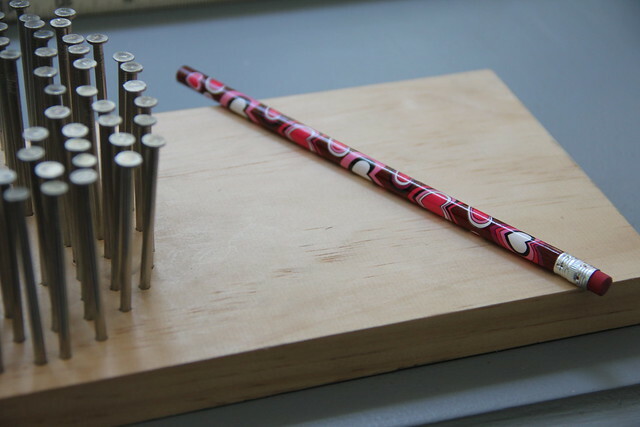 But after I put that unsharpened pencil from Garrett’s Valentine’s Day Goody Bags to good use, I was able to erase them all off without a trace. I also noticed that not all of our nails are straight and militant in orderly little rows, but neither am I or my parents, so I didn’t sweat it too much. For a final touch I put a few ribbons and a strip of burlap around one side, then added a picture hanger to the back for them. And that’s it! Such a simple project that is really unique and interesting. What interesting stuff have you given your parents’ as gifts over the years? I really really like this, Beth! I was thinking of making two that said “Dad” for our dads for father’s day. Don’t you love Pinterest? very unique and very cool! Oh this is fabulous!! I pinned it!! I’m new here and I can already tell I’m gonna LOVE it! Adore this idea – so creative and out of the box. I’m avoiding Pinterest because I’m already overwhelmed with all my internet commitments, but that’s why I’ll just keep following you. Such a cute idea Beth!!! BTW, congrats on the 200 followers! This would be fun as a unique address sign too! We have an amazing floral shop in town with ever changing art. 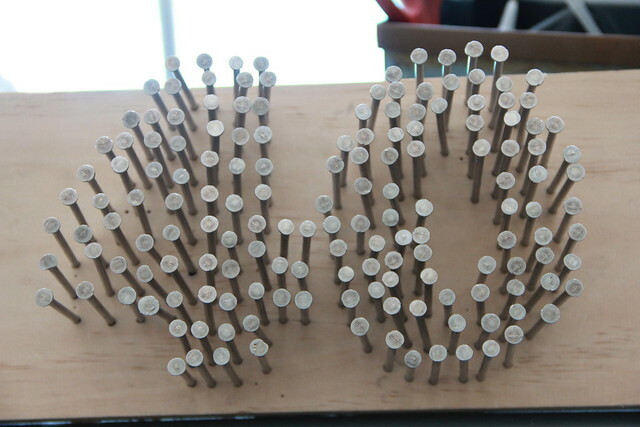 They actually used nails in their old wood floor to create patterns. As a daughter of a builder I am smitten with anything using a hammer. 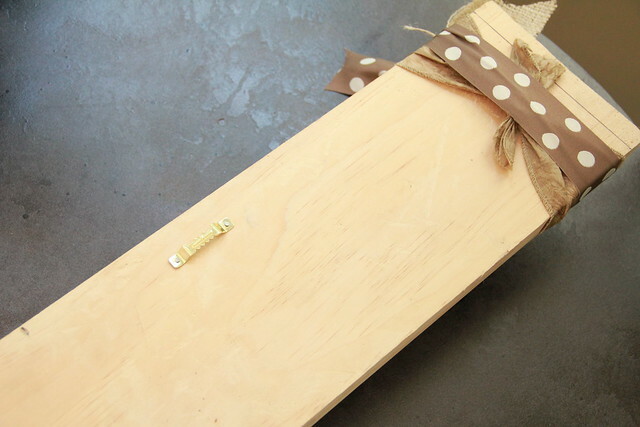 And on this post Spelling it out with nails – Unskinny Boppy. posting at additional social sites, I’d like to keep up with everything new you have to post. Could you list all of your social pages like your Facebook page, twitter feed, or linkedin profile?